From annual festivals and parades, to art shows, live music, theater, history reenactments and holiday celebrations, Alexandria&apos;s award-winning culture never stops buzzing. 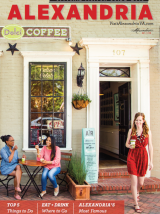 Discover what’s happening now below and sign up now for our Enewsletter to learn about upcoming events, special offers on shopping and dining and other insider ways to access Alexandria. Stay in touch via Facebook and Twitter for the latest on Alexandria events and happenings.